With the recent legalization of weed in Canada this past October, the rise of marijuana dispensaries are a major reality. Buying weed at a physical shop may not be an option though for many provinces throughout the country quite yet, which has made shopping for weed online a viable way to get cannabis. Here is your guide to the online marijuana industry and how to buy weed online in Canada. The new legalized marijuana law in Canada means that anyone of legal age in their province can legally purchase and possess 30 grams of cannabis. 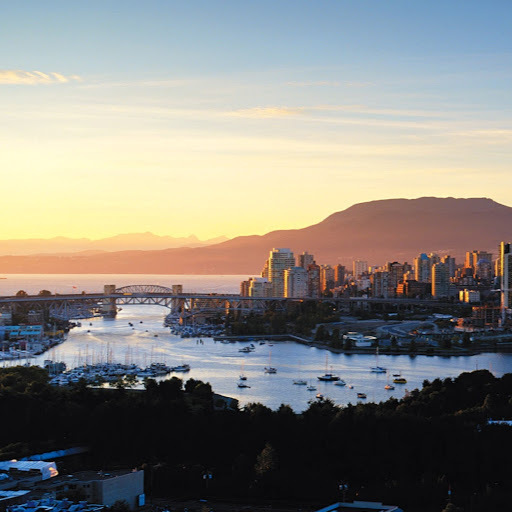 Legalized marijuana in Canada, however, does have its stipulations. With the new law, the government allows provinces to place their own regulations on how weed is distributed and sold. That means, some may allow local marijuana shops to sell out of a physical establishment or online weed dispensaries located within that province to sell to residents. More and more people are shopping for marijuana online than not. There are multiple factors that can contribute to this trend. First, the overall expansion and popularity of e-commerce in general has made online shopping a norm. The convenience of simply browsing through a selection of items via a connected device and having your purchases delivered directly to your door without having to go outside a house is more appealing than ever before. Second, in certain provinces, the implementation of pot shops may realistically take longer to set up shop than online dispensaries. In Ontario, for example, private weed retailers aren’t able to open up shop until the middle of 2019 due to a government shut down on originally planned dispensaries in Ontario. Therefore, online marijuana dispensaries are literally the only real source for weed for that province. Provinces including Alberta and Newfoundland have given the government the responsibility of operating mail order marijuana dispensaries online. On the other hand, Manitoba, Nunavut and Saskatchewan will have privately run online weed dispensaries. How Do You Buy Mail Order Marijuana from an Online Marijuana Dispensary? Log into your bank’s online mobile banking platform. Select the option to “Send Money” or “Interac E-transfer”. Enter the dispensary name and email account and the amount of your purchase total (this information is usually provided by the marijuana dispensary). Submit the payment once all information boxes have been populated. Look for the confirmation that the e-transfer has been processed to ensure a safe and successful transaction. The way your weed for sale is shipped will also follow certain standards. 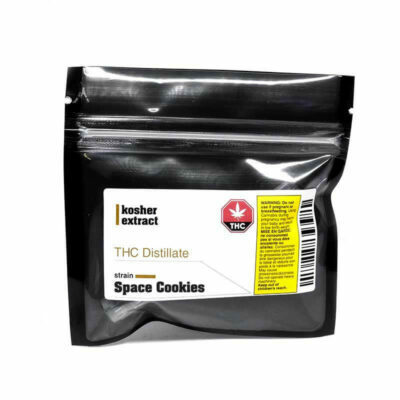 Look for a reliable dispensary that can ensure a secure and smooth fulfillment of your order. Attention to detail is a must when it comes to shipping cannabis. You should look for sellers that vacuum seal and bubble wrap packages to make sure your product is protected and fresh. Discretion should also be taken by the online dispensary. A well-run online weed shop won’t advertise that you are buying marijuana on the outside of the envelope. It should look like any other regular package from the post office. Now that marijuana is legalized, you may be wondering how weed for sale is being regulated. From a postal stand point, the Canada Post has already had about six years of experience delivering medical cannabis safely and will continue to follow laws and regulations from the federal, provincial and territorial governments for marijuana distribution in specific territories. Licensed marijuana dispensaries and sellers have the responsibility of ensuring that any recreational cannabis sent is properly packaged and labeled according to federal and provincial laws. All recreational cannabis shipments that are delivered or picked up via the postal service require a proof of age in order to receive the package. The legal age is defined individually by each province and territory. The Canada Post will follow standard operating procedures for inspection of mail during transit. If the post office deems a package suspicious, it can have the Royal Canadian Mounted Police give judicial authorization to search the mail if it deems it part of an investigation of criminal activity. To ensure that your weed is coming from a reliable and safe source, be sure to do your due diligence before you buy weed online. Health Canada has a list of licensed producers that have been deemed safe sources for marijuana. Also look at various reviews and the overall reputation of a distributor. What Kind of Weed Can You Buy Online? Marijuana, either for medicinal use or recreational use, can come in many different forms and strains when you buy from a marijuana dispensary. If your shopping online, many shops will list their available strains of Indica, Sativa and Hybrids, which are among the most popular varieties of weed. They can come in varying degrees of potency and a weed dispensary will usually give it a grade level that indicates how strong the strain is in intensity. Weed for sale online also can come in many forms. While dried bud for smoking is among the most popular product, concentrates like oils, wax, edibles, tinctures, capsules, shatter and resin are often included in the mail order marijuana lineup. Aside from the actual cannabis, you’ll likely be able to buy weed-related smoking devices like water bongs, pipes and vape pens. The best part of marijuana dispensaries that sell online is that you can skip the hassle of leaving your house or having someone come to your home to show you a selection, and simply find out all the information you need through the internet shopping platform. When shopping around for a reliable online marijuana dispensary, you should look for certain qualifications. Not all weed is made alike and it’s important to research which dispensaries are out there to avoid being scammed or receiving low-quality weed. Look at the reputation of a weed dispensary. How long have they been around for? Do they have a network of growers that are trusted and produce top-quality product? Are there any reviews available online for you to decipher if the weed dispensary is good or bad? Don’t turn a blind eye to the details and the bad reviews. If a customer posts a complaint about how their weed was delivered, this can be a huge red flag. Take note of these words and heavily consider your options before you rush into buying weed online. Buy My Weed Online is a top marijuana dispensary in Canada. You can look to us to provide the best quality cannabis and cannabis-related products out there. 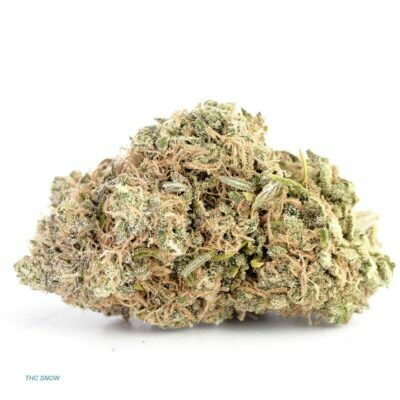 We have an extremely large and wide-range of marijuana strains available, both in bud form and as different types of concentrates. 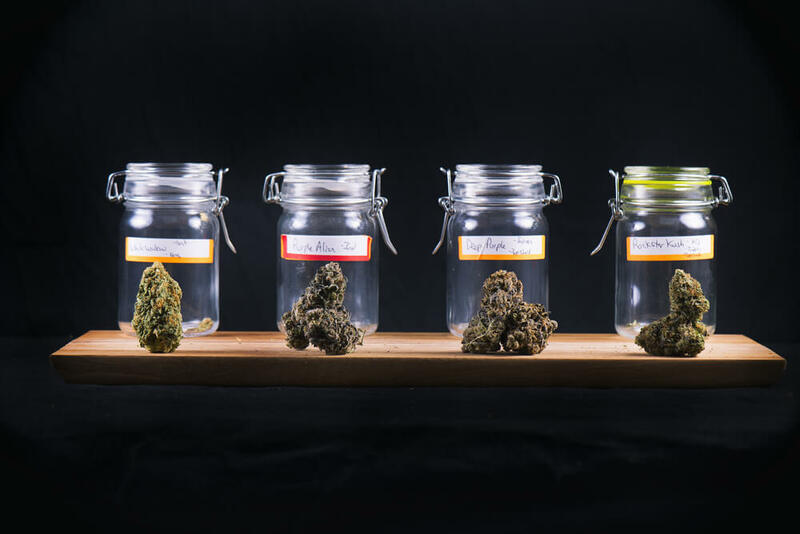 Depending on your needs, you can choose the weed that’s right for you. Our weed can provide medicinal benefits to those suffering from various diseases, chronic illnesses and pain. Recreational users can also enjoy the different effects of our varieties. From head high to body high, increased alertness and creativity to relaxation and calming properties, there’s something for everyone when it comes to using cannabis. We make shopping for weed online a breeze with an easy-to-use interface and shopping platform, you can click around our online shop and simply drop the cannabis or accessories you want into the shopping cart, just like you would at a brick-and-mortar store. 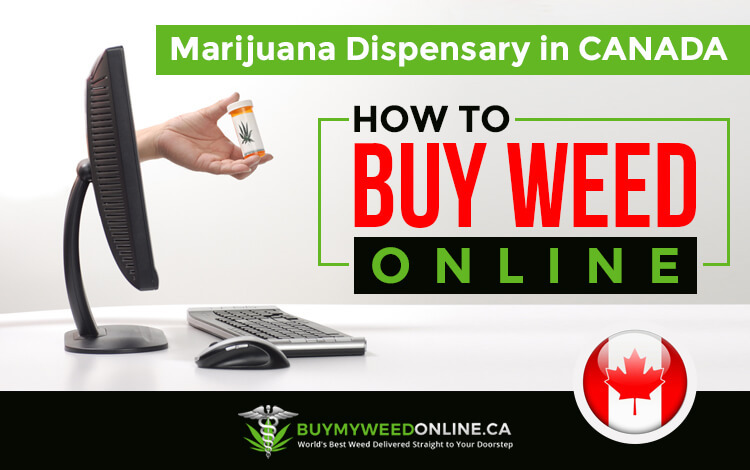 Buy My Weed Online also understands the concern for privacy when it comes to online shopping, especially when it comes to purchasing weed via an internet site. Your privacy is 100% safe using our e-commerce platform. To protect your information, our offshore servers do not keep any log of your online activity and stored information is purged daily to ensure total security. When it comes to getting weed through an online marijuana dispensary, Buy My Weed Online is simply the best. Enjoy the benefits of mail order marijuana and the quality service and product that comes along with shopping with Buy My Weed Online. I am interested in sativa in vape form. I find that smoking is harmful for my throat. How do I get started?